Perfectionism – a Blessing or a Curse? “Perfectionism” – that is the standard reply job applicants give to the question of what their weaknesses are. This might sound positive at first, because who does not want an employee who is devoted to delivering perfect results? Ambition and determination are desirable characteristics in everyday professional life, particularly in project management. But what happens if the pursuit of optimal results becomes counterproductive and your obsession with the details starts to hamper the workflow? People who have a propensity to perfectionism often do not just try to do a good and error free job; they rather want to finish a task immaculately. Theoretically, this would mean that the result is impeccable. However, the difficulty is to recognize that at one point it would be ineffective to strive for perfection. The reason could be that you cannot improve that particular task any further or because of time constraints. People who pay a lot of attention to detail often put too much effort into projects that they could finish with less effort and in less time. 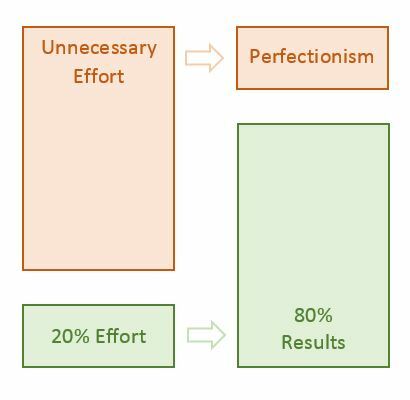 The Pareto principle can explain this phenomenon: 80 per cent of tasks are realized with only 20 per cent of effort, whereas the remaining 20 per cent of tasks take up most of the effort. The reason why people strive for perfectionism is often the fear of failure. This can have an extremely negative effect on your health. It can particularly affect you psychologically: stress, exhaustion and constant tension are the result. If that happens taking short breaks is an effective and easy to implement method to release the pressure. Keep in mind that you do not have to give 120 percent all the time, but that often 95 percent are perfectly enough to complete a project successfully. Self-awareness: how much perfectionism is acceptable? The line between the advantages and disadvantages of perfectionism is thin. On the one hand, diligence and precision can contribute a great deal to a project’s success. On the other hand, you should not underestimate the negative side effects. Perfectionism can affect the whole project team: missed deadlines because of the constant improvements and the pressure to always deliver a top performance can have severe negative effects. In order to overcome the constant dissatisfaction, you need to be aware of the impact perfectionism has, not just on yourself, but also on your team. If you are aware of how your behavior can affect others, you can start to set clear priorities. Which tasks do you have to do immediately, and which can wait? 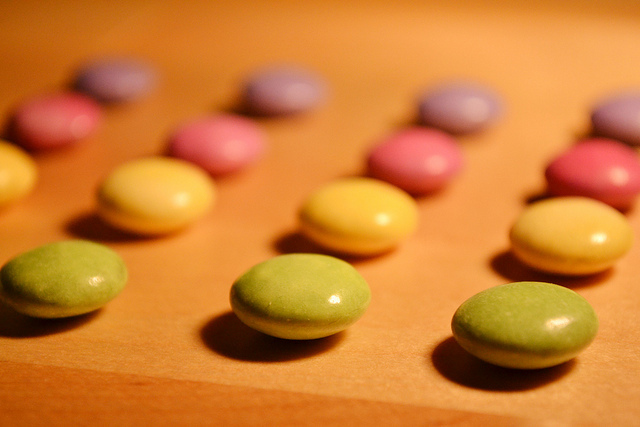 Time management methods can help you with prioritizing. You should not see mistakes as a personal failure, but as an experience that you can use to improve future projects. Most of the time a perfect solution does not exist, but depending on each project different methods might be suitable. The world is not black and white, neither is project management. There are many grey scales between “success” and “failure”, which means that sometimes you need to think outside the box to find the best method for you. Perfectionism – a Blessing or a Curse? - InLoox • Copyright 1999-2019 © InLoox, Inc. All rights reserved.